At the Port Towns and Urban Cultures conference this past July, Oliver Le Gouic wrote down a name for me: Gérard Le Bouedec. I owe Oliver a big, if belated, merci. Le Bouedec’s work on sociétés littorales has appeared almost exclusively in French. 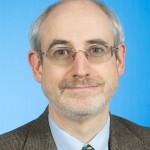 In this week’s blog, I’ll be discussing his article “La pluriactivité dans les sociétés littorales XVIIe-XIXe siècle,” which appeared in 2002 in a regional history journal, Annales de Bretagne et des Pays de l’Ouest. Those of you who read French will find an open-access pdf here. A glance over Le Bouedec’s vocabulary will immediately give you a sense of why he’s a good fit for this blog. His focus is on men who held multiple jobs (pluriactivité) or simply two jobs (bi-activité), such as fisherman-farmer or sailor-blacksmith. There were a lot of them in Brittany! He’s interested in reciprocal relationships and blurred boundaries (espace d’interface, he urges, rather than a maritime community pure et dure). He even deploys some terms I haven’t come across before in any language, ruro-maritime (for the agricultural-maritime relationship) and paramaritime (for watery trades that aren’t truly oceanic). I had a little trouble with what is, for English speakers, a counterintuitive term for coastal dwellers: riverains. Rive refers to a bank (as in Paris’ Rive Gauche), and a riverain(e) lives by the waterside, so a riverain de mer is literally a coastal resident. Conventionally, they seem to omit “de mer” where the ocean setting is self-evident. The picture of littoral society that emerges from Le Bouedec’s sources is emphatically one of fractional or mingled identities. Many watery pursuits were seasonal, so by definition people had to make a living in some other way the rest of the time. He found a bewildering array of hyphenated occupations in the parish records. Sailors and fishermen doubled as butchers, bakers, shopkeepers, coopers, carpenters, innkeepers, tailors, and weavers—or perhaps we should say that men in those occupations took to the water, and often enough that a dual occupation seemed justifiable to a clerk. 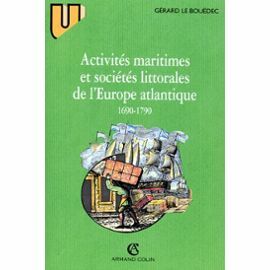 Le Bouedec also dissects fractions within the maritime realm: many mixed fishing with cabotage (short trips down the coast), piloting ships into harbor, and so forth. Thus, pêcheur-caboteur is another dual-activity combination. As others have noted, the lengthy voyages celebrated in song and story are only part of the maritime picture; according to Le Bouedec, the men who practiced only cabotage could have spent about half of their time at home with their families. There are some other ways to slice and dice the evidence. For example, Le Bouedec notes that in many Breton communities it was normal for a sailor (un marin) to marry a woman who worked the land (une cultivatrice). Thus, the ruro-maritime interface found expression within the family itself. To consider this another way, a fair number of men who went to sea had fathers who had done the same, but an equally large proportion had fathers whose work had been agricultural. Finally, the fishing industry simply could not have functioned without the pool of reserve, seasonal labor made available by the farming communities. Watery pursuits were more like an alternate face of the terrestrial community than a world apart. Michael Pearson, “Littoral Society: The Concept and the Problems,” Journal of World History 17, no. 4 (2006), 353-373; Daniel Vickers, Young Men and the Sea: Yankee Seafarers and the Age of Sail (New Haven: Yale University Press, 2005). Gérard Le Bouedec, “La pluriactivité dans les sociétés littorales XVIIe-XIXe siècle,” Annales de Bretagne et des Pays de l’Ouest 109, no. 1 (2002), 61-90.